The Clairsonic Mia was life changing to my facial cleansing routine, talk about a deep love, I mean clean – deep clean. I did not regret that pricey purchase one bit, until recently, as I was starting to feel it was a bit abrasive and began the hunt for a more natural exfoliating product. And then she died on me, RIP Mia. Luckily and coincidentally, during one of my regular stops at The Cure I was introduced to this amazing alternative. 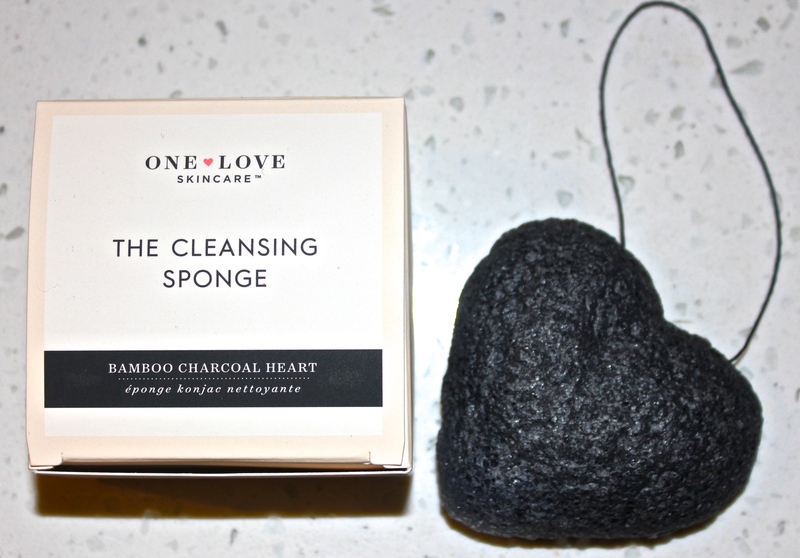 One Love Organics Konjac Sponge. For those of you who are not familiar, please allow me to introduce you to this must have product. Made from the root of the Japanese potato-like plant, Konjac. This sponge is a natural, fully sustainable, biodegradable, preservative free product that is used as a calming, exfoliant for all skin types. Helping to dislodge dirt, oils, blackheads, while balancing the acidity of the skin’s impurities. Once wet, the stiff sponge transforms to a soft and pillowy sponge. I like to think of it as the loofa for your face, it feels so good! Once wet, apply your favourite cleanser (I am loving Skin Essence Organics, Fresh Facial Cleanser right now), massage onto your skin using circular motions, and rinse. Even though I have sensitive dry skin, I decided to go big or go home and went with the Bamboo Charcoal. Naturally antibacterial and antifungal, the Bamboo Charcoal contains activated carbon and minerals which absorb toxins, remove excess oils and fight hard to reach bacteria. I’m on week three and no regrets! If you are looking for a new way to perk up your skin regime, grab yourself a Konjac Sponge.